You are in the midst of the second of four major life transitions. As a sociologist, I think about things like transitions and rights of passage. I’m going to look quickly at four such transitions. Today marks the start of the second transition but I’m going to push your focus to the fourth. Many of you had the first transition at least 13 years ago right about now. If you went to kindergarten, there was a time when your parents explained that you were about to go to this thing called “school”. School is a place where somebody else controls your time, people evaluate your achievement, and someone not your parents has authority to tell you what to do. If you went to pre-school, you got an early introduction to these lessons. If you were homeschooled, you’re jamming the first two transitions into one big change. You just came through orientation, so I don’t need to spend a lot of time on the second transition. Still, this is a huge transition. You don’t have parents checking up on you, you get to meet folks you’ve never met before, you become responsible for your learning. There is a tremendous tension between your newfound freedom and the discipline necessary to be successful. Remember, everyone else who started with you is on a steep learning curve. If they seem to have it together, they’re just better at pretending. The third transition is the other bookend to what you are currently going through. For most of you, in three years and nine months, you’ll put on gowns and celebrate your launch into the world beyond college. It’s not “the real world”. This is all real. But it is a matter of moving from a supportive community where you are known and people have your back to a world where you will make your own way. You’ll find a job (the first of many) and begin to sort out what real adulthood looks like (which may take another 6-8 years). The Christian University Journey is aimed at the fourth transition. This is the heart of Christian liberal arts education. We are concerned with not just what you can do but with who you are when doing it. We want you not just to know how to do a job but how to process what to do when the rules of the game change. We want you not just to tell people you love Jesus but to see your understanding of what it means to be a Disciple to be the plumb line that gives you stability in a changing world. It is tempting to focus on what needs to happen to meet graduation requirements. We in Higher Education worry far too much about checklists and majors and requirements. If there’s a bad guy in my book, this is it. To blindly follow the checklists, make sure you check the right boxes, but not to take away important lessons from the experiences you have is to waste a lot of time and a bunch of money. If you focus on checking off the boxes, it means that you only need to get C grades and do minimums. If you are really committed to what college offers you and stay in communication with others, you’ll cover the checklists along the way. Over the last decade in Christian Higher Education, we’ve had many more conversation about jobs. This is something your parents were concerned about. They certainly don’t want you to spend all this money for college and then move home to live in their basement and play video games. Actually, that image of you in the basement is highly offensive and doesn’t do justice to either you or your school. The stories of unemployed college graduates are largely overblown and based on anecdote. It may not be the career job, but people in your generation are willing to be patient while looking for the “right” position. The actual data shows that you not only will find work but that you will make over $800,000 more than someone who didn’t go to college. Some of that is because the economy has tanked for those with only a HS diploma. But it’s also because you develop valuable skills and orientations. The job canard is just like the degree one. Focus your attention on your own growth and learn how to explain that to others and jobs will follow. Instead, take an active stance toward your learning. Let me give you a hint about laptops and cell phones. Your professors know when you are taking notes and when you aren’t. Classes have a natural rhythm and points are evenly spaced. When you are looking at your screen and clicking away out of rhythm, it’s clear that you’re on the internet. But the more general issue is to bring all of your attention to class. Seriously try to do the reading before class. Even if you didn’t get all of it, familiarize yourself. Ask yourself questions. Make mental connections to other things you’ve read. Talk to your faculty member after class. In short, invest your time in your classes and it will pay dividends. Even classes you aren’t crazy about will be the source of connections you’ll use later in other classes or papers. When you look at your educational experience as something that’s preparing you for the long term, you take a different approach. You may not keep all of your textbooks (they are expensive, after all). But the ones that were especially meaningful should be part of your ongoing library. You’ll find yourself returning to them in future years. Think about what you learn in each of your classes that you want to hang on to. Connect the dots as if you had strands of yarn that show the significant linkages discovered along the way. If you can practice describing those linkages and what they meant to you, graduation and jobs are a natural byproduct. You are key to the future of Christian Colleges. The world is changing and your generation is key to what’s going on. So while you are on a journey, so is the rest of Christian Higher Education. If you follow the news and check on the internet, you know that we’ve entered a Post-Christian period. No longer are we in a culture that presumes Christian guideposts as the default position. David Kinnaman, president of the Barna Group, has said that your generation is “discontinuously different” from earlier generations. There are many sources in sociology that confirm his data. Your generation is constantly connected, keeps friends from diverse backgrounds, has grown up with values of tolerance, and is frustrated with business as usual. You have remarkably potent hypocrisy detectors. You look for authenticity and community while struggling with your own personal identity questions. You’ve grown up in a world very different than the one I grew up in. These are hard questions for your grandparents and maybe your parents. But much less hard for you. In spite of all the challenges of the economy, jobs, government, the church, and culture, your generation is remarkably optimistic. Far more so than earlier generations. You see the culture as improving and opportunities as expanding . All of that gives you insights into what is going on that your Christian University needs to hear. As I’ve written before, you are the canaries in the coal mine of our culture. You represent modes of thinking that will be dominant over the next twenty years. Christian colleges need to hear from you but recognize that they will change far slower than you might want. Resist the temptation to disengage. Have honest conversations with school leaders recognizing that change can be hard for everyone. It’s critically important. We are all part of the tapestry of God’s Kingdom. So what does it mean for all of us, students and professors alike, to be pursuing God’s leading in our lives academically, socially, and spiritually? It means that we aren’t alone. We impact each other. That’s why settling for box-checking or job-hunting is so disappointing. It’s not just you that get’s shortchanged. It’s all of us. Think about the Toy Story movies, for example. 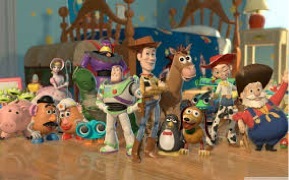 Woody and Buzz may look like the stars, but they are all influence by each other. And that influence means that they are all responsible for what happens to each one. That’s the heart of Christian Liberal Arts education. While working on your own stuff, you are bringing others along. You are figuratively holding hands, just like at the end of Toy Story 3. That means that God’s Kingdom is built by people being obedient to the Holy Spirit’s leading as we engage each other’s stories in order to help them become what God has implanted. Together we are working on God’s behalf, not only to pursue our own goals and dreams, but to advance his Kingdom wherever we find it. Welcome to the first step in this exciting journey we call Christian Liberal Arts. You’re in for a wonderful ride! « To my friends who don’t get why Ferguson matters..